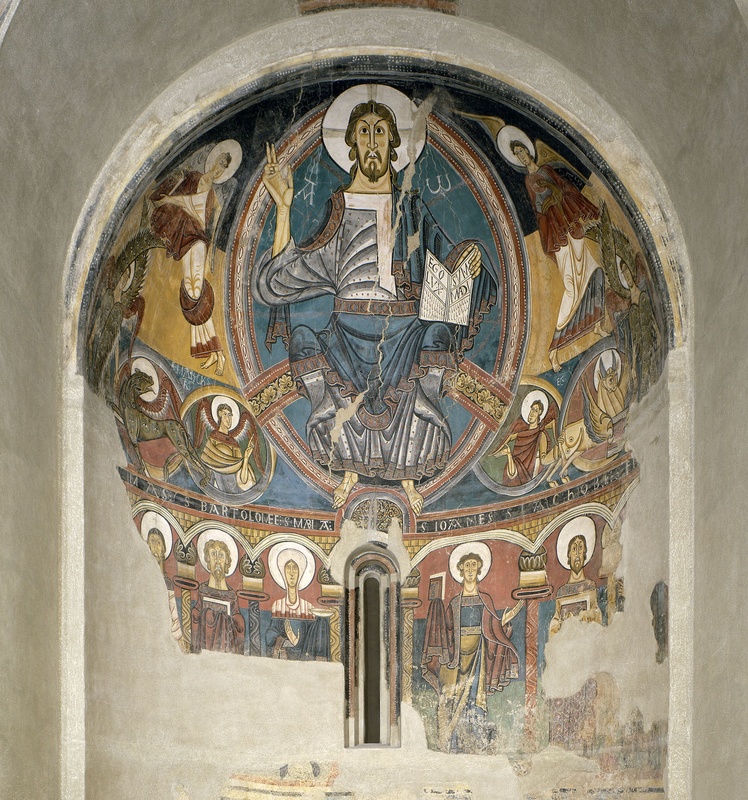 This is one of the master works from European Romanesque. Its genius resides in the combination of elements of different biblical visions – those of the Apocalypse, Isaiah and Ezekiel, to present us with the Christ of the Final Judgment. This appears from the background causing a centrifugal movement of the composition, in which the ornamental sense of the profiles dominates and the ability of the use of colour to give volume. Due to its exceptionality and pictorial strength, the work of the Master of Taüll has projected to modernity, fascinating avant-garde artists of the 20th century, such as Picasso o Francis Picabia .